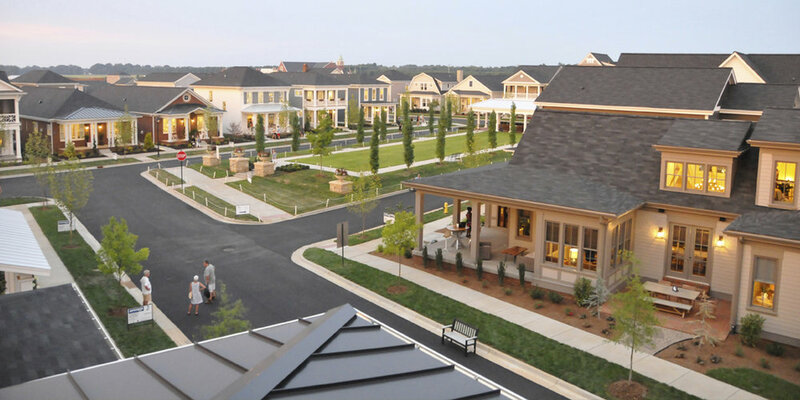 Norton Commons includes two mixed-use neighborhoods and a hamlet with 2880 units on a 660-acre greenfield site in Louisville, Kentucky. The master plan was prepared in a 1997 public design charrette by Duany Plater-Zyberk & Company (DPZ). While working for DPZ, Watkins prepared the Design Code. Working in collaboration with Watkins and the developer, Steve Mouzon and Placemakers prepared the Pattern Book. Since the charrette, Watkins has served as the Town Architect guiding the implementation of the master plan and reviewing much of the architecture for adherence with the Design Code and Pattern Book. Watkins has also worked with a number of the owners and their architects on civic buildings in the neighborhood including the fire station, elementary school, YMCA, Catholic church and school, and child care center. The first neighborhood is nearly complete and includes a full range of housing types, from single-family detached homes to apartments. Multi-family and office buildings with ground floor retail have been integrated into the neighborhood and a central square is surrounded by mixed-use buildings with ground-floor retail and live/work units. The second neighborhood is well underway. 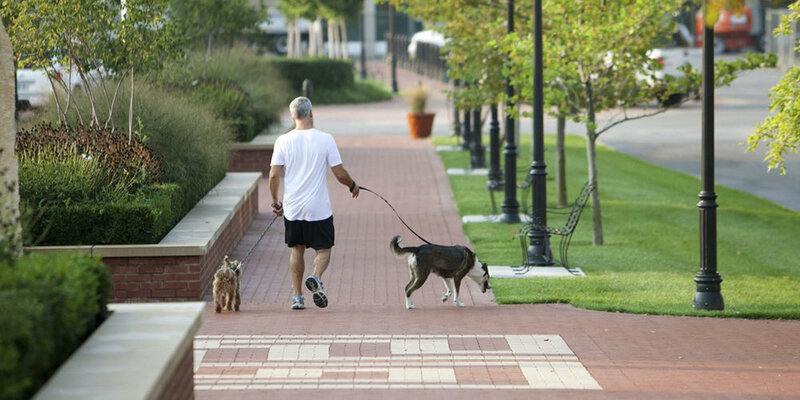 The Town Founder, Traditional Towns, LLC, has done an excellent job programming the public realm to facilitate opportunities for community to thrive. Courier Journal, "Norton Commons to add new green spaces for 20th anniversary", 3/21/17. WDRB, "Families get sneak peek inside new Norton Commons Elementary School", 7/17/16. Wave 3 News, "5 questions with the UofL Planetarium Director", 10/6/16. Insider Louisville, "New urbanism in Louisville mixes new homes with old culture", 6/7/16. Insider Louisville, "The Closing Bell: Norton Commons getting affordable housing...", 5/27/16. The Courier Journal, "Full-sized Norton Commons porch in Yum! Center", 11/11/14.